So, you’re an avid wine blogger or videographer, a wine vlogger perhaps? You love to write down or record on film stories about the fascinating world of wine, and share them with the world. Before making the leap to select one of your wine blog posts or videos for submission to the Millésima Wine Awards, let’s have a look at what your creation should contain (and not contain), to optimise your chances for winning. Let’s first remember that the content winning the grand prizes at the Millésima Blog Awards are broadcasted to the world. The winner joins the hall of fame of wine blog posts and wine videos. These are creations that should engage the entire world of wine. Every wine connoisseur or wine professional who will read or watch the winning content (and will be many), should enjoy it and learn something from it. But what does this mean for you? What makes a great blog post or wine video? To find out, and to help you with the process of selecting your submission, I have asked the rest of the Grand Jury of the 2018 Millésima Blog Awards to provide some advice and reveal their most intimate expectations about the content they will soon be judging. 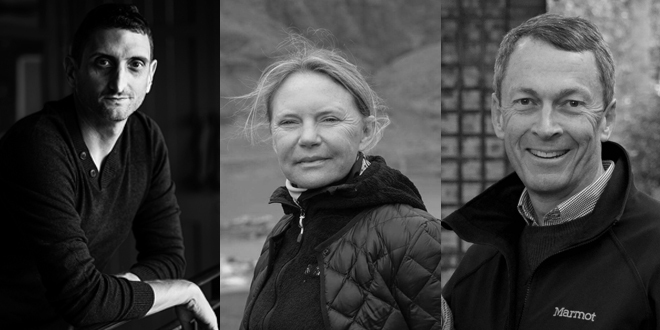 I’ve asked my two fellow judges of the 2018 edition, Marie-Louise Schÿler and Jeff Burrows, to answer a few practical questions about what they like to read or watch in their wine world. I have also included my own views below. 1. 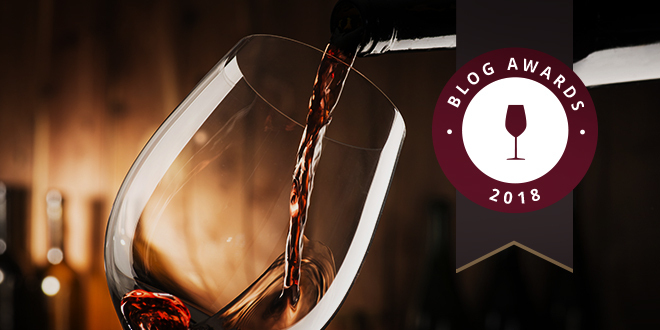 Name 2 or 3 criteria that would, for you, disqualify a blog post or a video from being nominated as a finalist to the Millésima Wine Blog Awards. Marie-Louise Schÿler: Number one criteria by far: lack of emotion! But also, wrong information (not based on reality, facts), or too biased an information. Information that is incorrect, misleading or obviously uninformed. Content that denigrates or knocks down a competing product or area in order to promote another. Julien Miquel: A clear lack of authority and objectivity on the subject covered. A great blog post of video should also showcase tangible research on the topic, and take an original angle. So, a lack of depth and originality. 2. How long do you think a good blog post should be to be good? How about a wine video? Marie-Louise Schÿler: It depends on the topic for the post, but it must be easy to read, using simple descriptive words (imagery and examples) and especially not too long, in order not to lose the reader’s attention too quickly. A video should last between 1 and 3 minutes, maximum. Julien Miquel: In principle, there is no ideal length for a blog post or video. Every word or every second of video though, should be meaningful, and preferably captivating. Do you have enough to say for a story to read 3000 words, or a video for half hour, without losing readers or viewers? If so, go for it! But as a general rule, most wine topics can be covered well in around 700 to 1000 words, or in a 2-3-minute video. Jeff Burrows: 1000 words is a good general upper limit for a post, although longer posts can be ok. For a wine video, 1 minute is good, with 5 minutes as an upper limit (and it better be good!). 20-minute videos are intolerable! 3. How important are illustrations (photos, pictures, drawings, videos) in the overall quality of a blog post? Julien Miquel: I might be a bit biased on this. Being an online-only content creator, I find illustrations and their quality very important now in 2017, and even more in 2018! Technology has allowed an easy access to excellent camera gear, and most readers and viewers in the 21st century demand visual elements to illustrate text. I find they add very important elements to captivate readers, while also entertaining and informing. The combination creates the magic. Jeff Burrows: Illustrations are a big plus, as long as they are well done and to the point. Poor quality photos, videos, or other multimedia detract from the quality of the post. Text-only posts are fine, but they must be especially well written and make clear points. Marie-Louise Schÿler: Illustrations are very important and help for a better understanding of the post. People are more inclined to remember images than just words. 4. What is for you, an engaging writing style when it comes to writing about wine? Jeff Burows: Teach me something, the wine’s or winery’s story, something special about the event. Wine descriptions should be useful without being overly flowery or long. Create an interest for me to visit the place, or buy the wine. Marie-Louise Schÿler: When the reader can feel the writer’s passion for the topic he is writing about. Clear and short sentences, facts, good examples to illustrate the point. Julien Miquel: Approachability is the key. Wine is to be shared. Wine is sharing, and so is wine-related content. The ability to empathise with the consumer, both the consumer of a blog or a video, and consequently the wine consumer, is for me a paramount asset to wine writers. 5. Do you have any advice on how to introduce or conclude an article or a wine video? Marie-Louise Schÿler: A blog should start and end with a personal experience, then develop through the post with concrete facts or examples. One blogger is different from another and it is his or her personal experience that will make a difference! Jeff Burows: Catchy (but appropriate) title or introduction. Share with me the conclusion I will make at the end of the piece in a compelling way. 6. Finally, what would be the one thing you’d absolutely want to see or read in a blog post or video to consider it a potential finalist? Julien Miquel: Excitement! Content that generates in me thoughts like: “Wow, I’d never seen that before!” or “I’d never thought of this this way!”. Together with the factual depth and engaging story-telling to back it up, of course. Jeff Burows: Create a desire for me to take an action – to try a wine or to start researching a visit to the place you just told me about, make me excited about trying the new food-wine pairing. Marie-Louise Schÿler: His or her passion for the subject! Wine is about passion. If there is no passion, there is no subject. So, get to your keyboard or camera. We’re excited to see YOUR creation! Thanks to Julien Miquel for this article ! About the author, Julien is a former Bordeaux winemaker, judge of the 2018 Millesima Blog Awards, and the founder of the award-winning blog Social Vignerons.